Je me serai lavé d'ici là. I'll have washed by then. Est-ce que tu te seras levée d'ici 11 heures ? Will you have got up by 11? Elle se sera bien amusée ce jour-là ! She'll have had a good time that day! Nous nous serons trompés de date. We'll have got the date wrong. Vous vous serez trompés d'heure. You'll have got the time wrong. Elles se seront réveillées trop tard et auront manqué leur train. They'll have woken up too late and missed their train. Remember that the past participle agrees in gender and number with the subject. Je serai allé au Canada une fois. I will have gone to Canada once. Tu seras allé dans tellement d'endroits! You will have gone so many places! Marie sera allée les voir. Marie will have gone to see them. Nous serons allés à Paris avant de te voir. We will have gone to Paris before seeing you. Will you have gone to the supermarket? Ils seront allés au parc. They will have gone to the park. Elles seront allées visiter le Louvre. They will have gone to visit the Louvre. Remember that the past participle (here allé) agrees in gender and number with the subject. So use allée (fem. sing. 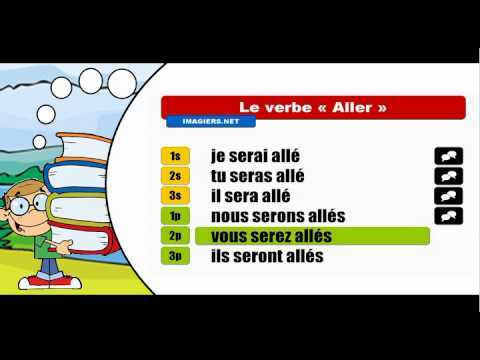 ), or allés/allées (plural masc/fem). La leçon qui répond à votre question est au niveau C1. Un the hunt for an example in English, I chanced across a similar construct: "I am not leaving before he has not greeted me." What you want to say is that you won't leave unless he has greeted you first. Of course you can also say "I am not leaving before he has greeted me." but that doesn't sound quite right. The "not" in the example above is also a "ne expletif" just as in French. Just that in French they are more common than in English. -- Chris (not a native speaker). Why do some conjugations of démeurer use avoir? Bonjour Vanessa ! "demeurer" is one of these verbs that can take either avoir or être as auxiliary in compound tenses. Here is a link to the related lesson: Demeurer can be used with avoir or être in Le Passé Composé... and changes meaning I hope that's helpful! À bientôt ! Is, "d'ici là" idiomatic for, by then? Bonjour Susan ! Oui, absolument ! "d'ici là" veut dire "by then" :) À bientôt !